Like most of America, I was watching the Super Bowl halftime show and like most of America, I apparently missed the opportunity to be offended by something I failed to notice. 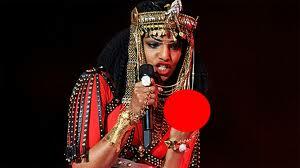 Supporting-role performer M.I.A. briefly flipped the bird to the NBC cameras and since the event was live the antic was broadcast uncut. I know this not because I, or the impressionable children in the room, perceived the original offense, but because for the days afterward I was forced to watch it replayed in slow motion on every news outlet I had access to. Then, as if on cue, the Parents Television Council issued a scathing statement and demanded someone be punished. The group claimed that both the NFL and NBC were responsible because they booked “performers who had based their careers on shock profanity and titillation.” The NFL has revealed that a clause in the contract would require M.I.A. to pay an imposed FCC fines resulting from the incident. To be fair, I have never understood why musicians feel the overwhelming need to exhibit derision in the presence of their own fans. Who exactly are you angry at? The record company? The fans whose adulation legitimizes the record company’s investment in your work? The faceless investment bankers whose financial stake in your record company puts that record company in a position to invest in you at the behest of said fans? I remember when Kid Rock released his album and decided to simply place an image of his extended middle finger on the disc itself. As if the audio tracks the disc contained weren’t punishment enough, he felt the need to let you know that he finds each and every customer unpleasant on a personal level. Of course, both Mr. Rock and M.I.A would defend their gesture by categorizing it as a general act of defiance rather than a specific demonstration of revulsion. By prominently displaying this solitary finger, they are putting the public on notice that they will not cower under the weight of social norms and, as long as their team of corporate attorneys approves the contractual paperwork, they will share this sentiment on national TV. As for the Parents Television Council, their charge of the NFL only hiring performers capable of offense is a pretty broad statement. Sure, they could hedge their bets by booking The Oak Ridge Boys for half-time and having CeCe Winans sing the National Anthem but no one would watch that. Besides, even “safe” performers are capable of going off the rails. The same evening that M.I.A. was offending America, country star Randy Travis was arrested for sitting drunk in his car in the parking lot of a Baptist church. The arresting officer reported that Travis had a bottle of wine in one hand and was too incoherent to administer a sobriety test to. This incident comes just months after Travis keeled-over onstage while singing his hit “Three Wooden Crosses” at a festival in Fort Worth. 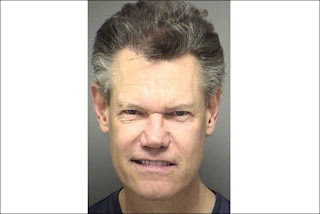 This is not to say that Randy Travis is a reprehensible person, only to highlight the fact that those drawn to creative endeavors in music rarely do so as a result of their structured and predictable personalities. It just seems ironic that these “watchdog” groups exist to become outraged on behalf of the people who were not observant enough to be offended without assistance. If someone sneaks Nazi propaganda into a Spongebob episode, we might need the Parent’s Television Council on their game, but when we are discussing the most watched television event of the calendar year perhaps they could most be of service to the public by just sitting down on the couch and eating some hot wings.